1) (Laurence-Waltham, co. Berks). Gu. a fess vair, in chief a unicorn courant or. 2) (co. Buckingham; granted 13 Sept. 1564). Gu. a fess vair, in chief a unicorn pass. betw. two mullets or, a border of the last pellettée. Crest—A pelican’s head vulned ppr. Another Crest—A tiger’s head erased perpale vert and or, in the mouth a wing ar. 3) (Upper Hare Park, co. Cambridge). Gu. a fess wavy betw. three unicorns’ heads couped ar. Crest—Out of a mural coronet gu. a unicorn’s head couped ar. Motto—Non mihi sed tibi gloria. 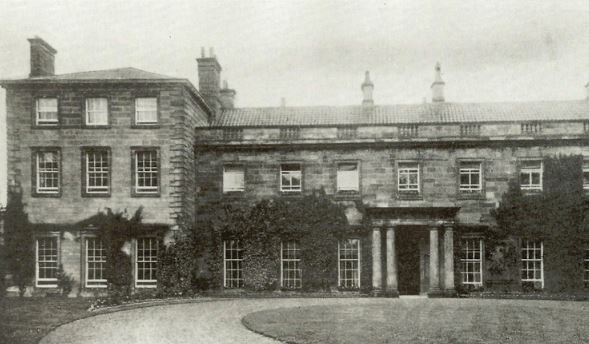 4) (Hilcote Hall, co. Derby). Gu. a fess vair, in chief a unicorn pass. or, a border sa. bezantée. Crest—A fox’s head couped per pale vert and or, holding in the mouth a dragon’s wing ar. 5) (Dorrington, co. Durham; granted 18 Sept. 1538). Gu. a fess (another, a chev.) vair betw. three whelk shells or. Crest—A demi talbot sa. eared erm. charged with three billets or, two and one, holding in the paws a branch vert, thereon three daisies ar. seeded gold. 6) (Kyo, co. Durham; granted Sept. 1615, to Lawrence Wilkinson, Esq., of Farye on the Hill, son of Launcelot Wilkinson, Esq., of Kyo). Az. a fess erminois betw. three unicorns pass. ar. Crest—Out of a mural crown gu. a demi unicorn ramp, erminois, erased ppr. armed and maned or. 7) (Harperley Park, co. Durham). Az. a fess erminois lietw. three unicorns pass. ar. Crest—Out of a mural crown gu. a demi unicom ramp. erminois, erased ppr. armed and maned or. Motto—Nec rege, nec populo sed utroque. 8) (Coxhoe, co. Durham). Gu. a fess wavy betw. three unicorns ar. Crest—Out of a mural coronet gu. a unicorn’s head ar. 9) (Halam, co. Durham). 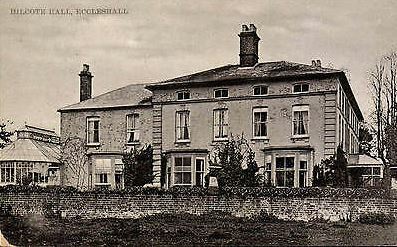 (Oswold House, co. Durham). Gu. a fess wavy betw. three unicorns pass. ar. Crest—Out of a mural coronet gu. a unicorn’s head ar. 10) (Bishopwearmouth, co. Durham). Gu. a chev. vairé or and az. betw. three whelk shells of the second, quartering Stote. Crest—A demi talbot sa. eared erm. charged with three billets or, two and one, holding in the paws a branch vert, thereon three daisies ar. seeded gold. Motto—Incepta persequor. 11) (Goldhanger, co. Essex, and London; Richard Wilkinson, of London, Draper, temp. Queen Elizabeth, son of Gilbert Wilkinson, and grandson of John Wilkinson, both of Goldhanger. Visit. London, 1568). Gu. a fess vair betw. two unicorns courant or, quartering Gilberd and Lomley. 12) (Charlton, co. Kent; granted by Harvey, Clarenceux, 20 April, 1559, to Edward Wilkinson, Master Cook to Queen Elizabeth). Per fess embattled or and ar. three demi griffins segreant az. membered, beaked, and eared gu. Crest—A demi falcon per pale sa. and ar. 13) (Wateringbury, co. Kent, 1605). Gu. a fess vair betw. three unicorns pass. or. Crest—On a mount vert a greyhound sejant ar. gorged with a collar sa. rimmed and ringed or, on the dexter part of the mount a branch of laurel ppr. 14) (alias Agbury). (co. Kent). Az. a unicorn pass. reguard. or. Crest—On a mount vert a bird close sa. holding in the dexter claw a banner gu. and az. Bearing a cross ar. staff or. 15) (co. Kent). Gu. a fess vair betw. two unicorns courant or (another, ar.). 16) (co. Kent). Gu. a fess vair, in chief a unicom courant ar. betw. two mullets or. 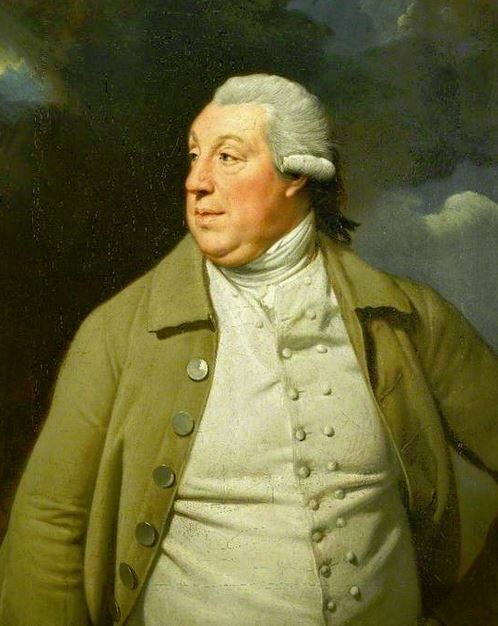 17) (John Wilkinson, Alderman of London temp. Henry VII; his dau. and heir, Joan, m. John Branche, and had a son, Sir John Brance, Knt., Mayor of London. Visit. London, 1568). Gu. a fess vair, in chief a unicom pass. betw. two mullets or. 18) (London). Gu. a fess vair, in chief a unicorn pass. betw. two mullets or, a border engr. of the last. Crest—A pelican’s head vulned ppr. Another Crest—A tiger’s head erased per pale vert and or, in the mouth a wing ar. 19) (White Webbs, co. Middlesex; Abraham Wilkinson, Esq., purchased White Webbs, and built, in 1791, the present mansion there). Gu. a fess vair betw. three unicorns pass. or. Crest—A demi talbot sa. holding betw. the paws a rose branch ppr. Motto—Instans ac constans. 20) (Old Buckenham, co. Norfolk, and Rantham, co. Westmorland). Az. a chev. betw. three whelk shells or. Crest—A unicorn’s head erased per chev. or and gu. armed gobony gold and sa. 21) (Scarborough, co. York; granted 14 Feb. 1557). Ar. on a chev. betw. three trefoils slipped sa. as many crescents or, a border engr. az. Crest—A stag’s held erased az. attired ar. charged on the neck with a sun or. 22) (co. York; granted 1564). Gu. a less vair, in chief a unicorn pass. betw. two mullets or, a border of the last pellettee. Crest—A pelican’s head vulned ppr. Another Crest—A tiger’s head erased per pale vert and or, holding in the mouth a wing ar. 23) (Pontefract, co. York, 1665; Dugdale’s Visit.). Gu. a fess vair, in chief a unicorn pass. or, a border engr. of the last pellettée. Crest—A fox’s head erased per pale wavy vert and or, holding in the mouth a wing ar. 24) (Kirkbrigg, co. York, 1666; Dugdale’s Visit.). Az. a fess erminois betw. three unicorns pass ar. a canton or. Crest—Out of a mural coronet gu. a demi unicorn erased erminois, armed and maned or. 25) (Winterburn Hall, co. York). Gu. a fess erm. betw. three unicorns pass. ar. Crest—A unicorn’s head erased ar. Motto—Tenez le droit. 26) Per fess dancettée (another, crenellee) or and ar. three demi griffins az. Crest—A demi eagle, wings expanded per pale or and ar. holding in the beak a rose gu. barbed, leaved, and stalked vert. 27) Gu. a fess vair betw. three unicorns statant ar. Crest—On a mount vert a talbot sejant ar. amidst rushes ppr. 28) Gu. a fess vair betw. three mullets or, in chief a unicorn statant of the last, a border engr. sa. bezantée, a canton ar. Crest—A wolf’s head per pale vert and or, holding in the mouth a wing ar. charged on the neck with a trefoil slipped gu. 29) Or, a fess betw. three martlets gu. 30) Gu. a saltire vair. 31) Gu. a fess vair betw. three unicorns statan ar. maned and horned or. 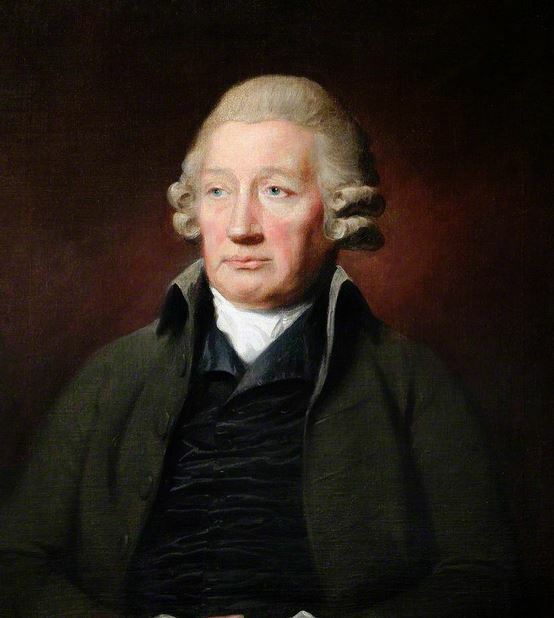 32) (John Wilkinson, Dublin, Counsellor-at-law, temp. Charles I.; Fun. Ent. Ulster’s Office, 1636, of his dau. Jane, wife of Francis Acngier, Esq.). Quarterly, 1st and 4th, gu. a fess vair betw. two unicorns in full course ar., for Wilkinson; 2nd, erm. on a chev. sa. three cinquefoils pierced ar., for Hatfield; 3rd, ar. a fess gu. betw. three parrots vert, beaked and legged of the second. 33) (Fun. Ent. Ulster’s Office, 1683, Sarah, dau. of Thomas Wilkinson, and wife of Moses Woodrooffe, of Limerick). Gu. a saltire vair. 34) (Scotland). Gu. a fess vair betw. three unicorns ar. Crest—A demi talbot ar. This last name is a patronymic or baptismal surname deriving from the old personal (first) name Wilkin, which in turn was a pet form of nickname for the masculine given name William or a pet form of the Dutch first name Willem or Wilhelm. Some say Wilkin was a first name brought to the British Isles by Vikings from Denmark during the Middle Ages or medieval times. The first name William was popularized in England after the Norman Invasion of 1066 AD (led by William the Conqueror, a descendant of Rollo, Duke of Normandy and later the first Norman King of England). In Old German the name was Wilhelm and in Old Norse it was Vilhjalmr. It consists of the words wil (desire or will) and helm (helmet or protection). Some claim the name was first found in Durham, England where the family became of note, and descended from Robert de Wintona (born circa 1100 AD) of Glamorgan, Wales, one of 12 knights who went to Glamorgan with Robert Fitzhamon (founder of Twekesbury and Sheriff of Kent), a Norman Noble, during the year of the Norman Invasion. Robert Fitzhamon, according to Wikipedia was “Seigneur de Creully in the Calvados region and Torigny in the Manche region of Normandy” and “the first Norman feudal baron of Gloucester and the Norman conqueror of Glamorgan, southern Wales”, becoming Lord of Glamorgan in 1075 AD. According to Wilkinsons.com, “The name Wilkinson was first assumed in about 1250. Wilkinsons held estates in Durham in Hulam, Coxhoe, Eddercres, Sheriton, The Granges, Hurworth Bryan, White Hurworth, Langdale, Stanley, Holmeside, Tursdale, Whitton, Brafferton, Woodham Burn, Rushyford, Stoballee, and in locations in Northumberland. They also held estates in Scarborough, York, Pontefract, Kirkbrigg, and Winterburn Hall in Yorkshire. Of note among the family at this time was Lancelot Wilkinson of Kyo in Durham”. Some spelling variants or names with similar etymologies include Wilkenson, Wylkynson, Willkinson, Wilikinson, Wilkins, Wilkin, and Wilkens. The last name Wilkinson ranks 576th in popularity in the United Status as of the 2000 Census. The name ranks particularly high in the following five states: Utah, Montana, Iowa, Nebraska, and Delaware. The surname Wilkinson frequency/commonness ranks as follows in the British Isles: England (79th), Scotland (276th), Wales (176th), Ireland (989th) and Northern Ireland (239th). In England, it ranks highest in counties Yorkshire, Durham, Lincolnshire, and Westmorland. In Scotland, the surname ranks highest in Berwickshire. In Wales, it ranks highest in Denbighshire. In Ireland, it ranks highest in Queen’s County. In Northern Ireland, it ranks highest in county Antrim. The name is also present throughout the remainder English speaking world: Canada (473rd), New Zealand (124th), Australia (154th), and South Africa (604th). Henry Brougham Guppy’s 1890 book Homes of Family Names in Great Britain states the following in regard to this last name: “This name is almost entirely confined to the northern half of England, as defined by a line drawn west from the Wash. It is best represented in Northumberland, Durham, Yorkshire, and Lancashire, and is also fairly numerous in Notts, Lincolnshire, and Cheshire. Its absence or scarcity in the south of England is but poorly compensated for by Wilkins”. In 1324, the Court Roles at the Manor of Wakefield in Yorkshire lists one Robert Willeson. Roger Wyleconsecone is documented in the Subsidy Rolls of Sussex in 1332. In 1332, Thomas Wilkynson was documented in the Subsidy Rolls of Cumberland. The Poll Tax of 1379 AD of Yorkshire lists two bearers: Thomas Wylkynson and Adam Wylkynson. Nicholas Wilkynson (alias Nicholas Shermon) was documented in the Chester Freemen Rolls of 1474 AD. Two early marriage involving this surname were a) Anne Wilkinson to Cutbert Worpcop in 1543 at St. Antholin’s, Budge Row, London and b) Anne Wilkinson to Thomas Roles in Hackney in 1560. An early baptism involving this surname was Allen Wilinson at St. Martin Orgar and St. Clement’s, Eastcheap in 1552. John Wylkynson or Wilkinsoune was a resident of Vddynston in 1498 AD. Schir William Wilkinsone had a special respite and protection in 1504 AD. The lineage or ancestry of this branch of the Wilkinson family tree traces back to Johnson Wilkinson, Esquire of Portman Square, who married Margaret, daughter of Robert Osborn. They had several children, including, a son named Robert. Robert Wilkinson was an Esquire of Montagu Square in London who, in 1807, married Catherine, daughter of John Peter Allix of Swaffham House, and had issue with her as follows: 1) Robert Hindley (of Chesfield Lodge, Justice of the Peace, Lieutenant Colonel of the Bedfordshire Militia, married Caroline Obert, had a daughter and son named Edward Obert Hendley), 2) Reverend Charles Allix (Rector of South Willingham, Justice of the Peace, married Mary Eleanor Bowers, had daughters named Eleanor Catherine Mary, Katherine Henrietta, and Christina Ellen), 3) Isaac Herbert (see below), 4) James Allix (Captain of the 15th Regiment, married Elizabeth Harriot, daughter of William Whiting, had five children), 5) Johnson (Colonel of the 15th Regiment), 6) George Allix (Lieutenant-Colonel of the Royal Horse Artillery, married Eliza Gosling and had seven issue), 7) Catherine (married Reverend J. Thornhill of Boxworth), 8) Matilda (married Gamul Farmer of Nonsuch Park), and 9) Elizabeth Mary (married George Thornhill of Diddington Park). His son, Isaac Herbert Wilkinson, Esquire of Upper Hare Park, county Cambridge, was born in 1818. He was a Justice of the Peace and Deputy Lieutenant and was educated at Eton and Cambridge. In 1839, he married Margaret Anne, daughter of Lieutenant-Colonel John Petrie Keble. The Wilkinson family crest for this branch of the family tree is blazoned in the medieval European art of heraldry as follows: Gules, a fess wavy between three unicorns’ heads couped argent. Crest: A unicorn’s head argent, issuing from a mural crown gules. Motto: Non mihi sed tibi Gloria. The Wilkinson genealogy of this branch of the family tree traces back to Anthony Wilkinson, Esquire of Sheraton Hulam, and Crossgate, county Durham, son of William Esq. of Crossgate) who died in 1717. He married Deborah, daughter of co-heir of Gilbert Machon of Durham, and had issue with her including 1) Thomas Wilkinson (Esquire of Brancepeth and Wingate, ancestor of George Wilkinson of Oswald House and Anthony Wilkinson of Old Elvett) and 2) William. The elder son, William Wilkinson, was an Esquire of Sheraton, Hulam, and Newcastle-on-Tyne. He was a High Sheriff of Northumberland in 1758. He married Philadelphia, daughter of Thomas Clennell of Clennel, and had several children with her. He died in 1768 and was succeeded by his eldest son, Anthony. Anthony died without issue, whereupon the estates were passed to his next brother, Thomas. 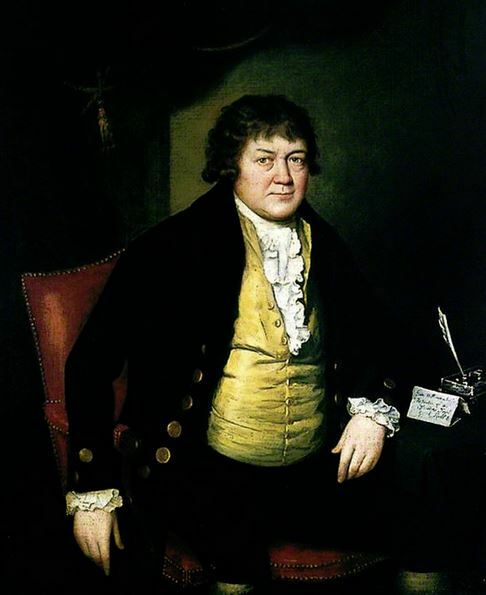 This Thomas Wilkinson was an Esquire, who in 1782, married Hannah Elizabeth, daughter and co-heir of Robert Spearman of Oldacres, with whom he had the following issue: 1) Anthony (his heir, discussed below), 2) Clennell, 3) Reverend Percival Spearman (of Mount Oswald, married Sophia Mary Ansthuther, had issue named Percival Spearman, Thomas William, Reverend Clennel, Anthony John Astruther, Henry Clement, Sophia Elizabeth, Hannah Harriet, Mary Anstruther, Isabella Christiana Jane, Felicia Anna, Adelaide Eunice, and Ellen Maria Phoebe), 4) Wilfred (served in the Royal Navy, died in the West Indies), 5) Elizabeth Philadelphia (married Calverley Bewicke of Clouse House), and 6) Hannah Isabella (married Warren Maude of Selaby Park). He died in 1825 and was succeeded by his eldest son, Anthony. This son, Anthony Wilkinson, was an Esquire of Coxhoe Hall, county Hulam and Sheraton, county Durham, as well as a Justice of the Peace, Deputy Lieutenant, and High Sheriff who was born in 1785. He married Mary Anne, daughter of Thomas Hall, and had the following issue: 1) Anthony (see below), 2) Clennel (Captain of the 12 Lancers, married Isabel Anne Hurd), 3) Mary Anne (married Captain Francis Massy Drew in 1874, son of Francis, had issue), and 4) Emily Spearman (married J.R. White Bros, had issue). He died in 1851. He was succeeded by his son, Anthony Wilkinson, an Esquire of Hulam and Sheraton, county Durham, England who was born in 1838. He was a Justice of the Peace, Deputy Lieutenant, and High Sheriff. In 1871, he married Mary, daughter of Mr. F. W. Richardson of Isleworth. The Wilkinson Coat of Arms is blazoned in heraldry as follows: Azure, a fess erminois between three unicorns passant argent armed and crined or, quartering with others, Macho, Clennell, and Spearman. Crest: On a mural crown gules demi-unicorn rampant erminois erased gules. Motto: Nec rege nec populo, sed utroque. This family was seated at Sheraton, Castle Eden, county Durham, and at Clennell, Northumberland, England (once called Great Britain, modern day United Kingdom). The ancestry of Wilkinson genealogy of this line traces back to John Wilkinson of Stockton-on-Tees, son of John, county Durham and later Worcester. He was mayor of the former town. He married Ms. Hooper of Ramsgate, county Kent, and had children with her as follows: 1) John Hooper (Captain in the Army), 2) William (of Streatham House, county Surrey, married Sibella, daughter of Alfred Wilkinson, had issue), 3) Thomas (see below), 4) George (of Walsham Hall, had a son named Hooper John), 5) Dorothea (married George Curling of Cleveland Row, had issue), and 5) Anne (married William Hoar, afterwards Harldnad), or Durham). The third son, Thomas Wilkinson, Esq. of Walsham-le-Willows, county Suffolk, and of Stokesly Manor, county York, who in 1783, married Jane, daughter and co-heir of George Hutton, and had children with her as follows: 1) Thomas Hutton (of Walsham-le-Willows, Justice of the Peace and Deputy Lieutenant), 2) George Hutton (of Harperley Park), 3) Reverend William Hutton (of Southampton, married, had a son named Octavius Robert), 4) Jane (married Richard Dalton of Andover), 5) Margaret (married John Hughes of Donnington Priory, had issue including John Hughes), 5) Elizabeth Harrison (married George Gatak(??) of Mildenhall), and 6) Dorothea. 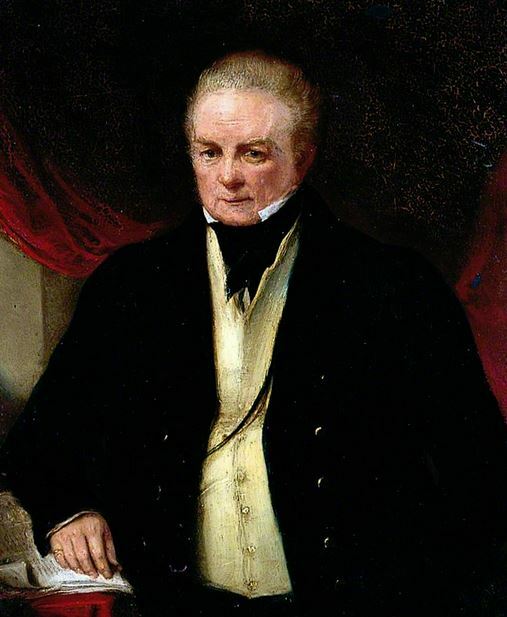 The second son, George Hutton Wilkinson, Esquire of Harperley Park, was born in 1791. He was a Deputy Lieutenant, Recorder of Newcastle-upon-Tyne, and M.A. of St. John’s College Cambridge. In 1817, he married Elizabeth Jane, daughter and heir of George Pearson of Harperley Park and Bett Chayor. He had children with her as follows: 1) George Pearson (of Harperley Park), 2) Reverend Thomas William (born 1825, a Canon in the Church of Rome), 3) Henry John (Captain 9th foot, Assistant Commissary General, served in the Crimea, married Leonora, daughter of D. Elster, had issue), 4) Charles Hutton (Lieutenant of the Royal Navy), 5) Reverend Edward Abercrombie (Vicar of Tudhoe, Justice of the Peace, married Edith Rosa in 1867, daughter of Robert Duncombe Shafto of Whitworth Park, had issue named Edward James, Stephen, George Robert, Lancelot, Edith Dorothea, Mary Katherine, Rachel, Mabel Lucy, and Cicely), 6) Elizabeth Jane (married Anthony L. Maynard of Skinningrove), 7) Margaret (married Edward Borton, Barrister-at-Law), 8) Dorothea Anne (Reverend Arthur Duncombe Shafto, Rector of Brancepeth), 9) Frances Octavia (married Reverend Henry Algernon Baumgartner, Vicar of Megavissy), 10) Mary Emmeline, and 11) Anne Sibella (married Matthew Charles Woods of Holeyn Hall). He died in 1859. His son, Reverend George Pearson Wilkinson was born in 1823 and was of Harperley Park and Helme Park, county Durham. He was a Justice of the Peace and was also a Captain in the Durham Militia.. In 18489, he married Frances Vernor (Vernon? 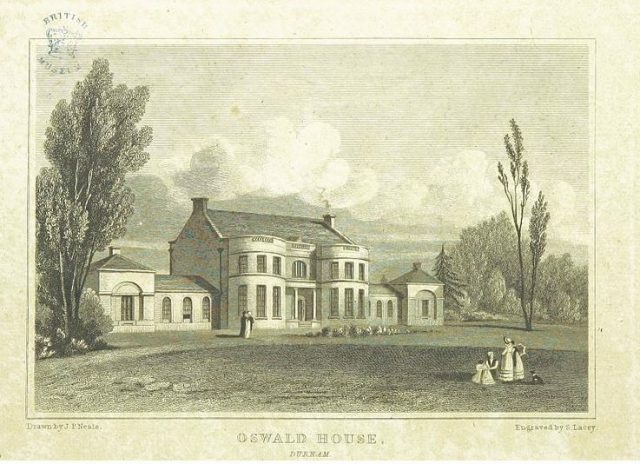 ), daughter of Lieutenant William Mills of Helme Park, and had issue with her as follows: 1) Mary Elizabeth, 2) Frances Dorathea (married William C. Stobart of Spellow Hill, had issue), and 3) Helena Rosa (married Charles Duncombe Shafton, had issue). The Wilkinson coat of arms are blazoned as follows: Azure, a fess erminois between three unicorns passant argent, quartering Hutton, Pearson, Gregson, etc., with an escutcheon of pretence, for Mills. Crest: Out of a mural crown gules a demi unicorn rampant erminois erased proper, armed and maned or. Motto: Nec rege, necpopulo, sed utroque. This family was seated at Harperley Park, Darlington and Helme Park, county Durham, England. The Wilkinson family history and genealogy begins with Henry Wilkinson, Esquire, son of Thomas Wilkinson and Margaret Wilcock, who married Agnes Parkinson, and had issue. Their eldest son, Thomas Wilkinson, Esquire of Winterburn Hall, married, Anne, daughter of Thomas Clifton of Newall with Clifton), and had two children with her: Thomas Clifton and Mary Anne. Thomas Clifton Wilkinson was an Esquire of Newal Hall, county York, who was born in 1815. He was a Justice of the Peace. In 1842, he married Honorable Julia Jemima Butler, daughter of Henry Butler, and had the following issue with her: Thomas Clifton (born 1844, Lieutenant of the 72nd Foot Regiment), Henry Butler (1850-1873), Francis Ernest (born 1856), Edmund (1857), Julia Anne, and Charlotte Mary. The lineage or ancestry of this branch of the family tree traces back to Abraham Wilkinson of Dublin. He married Elizabeth Edwards and had a son with her. This son, Abraham Wilkinson came into acquisition of the estate of White Webbs in 1876. He married Rebecca Crane, with whom he had a son and heir named Henry, and later Elizabeth Smith, by whom he had a son named Edward. His son, Henry, was an Esquire of White Webbs. In 1810, Henry married Jane, daughter of Samuel Cox, and had five children with her: Henry Cox (see below), Francis Henry, Mary Elizabeth, and Jane Caroline. He died in 1855. 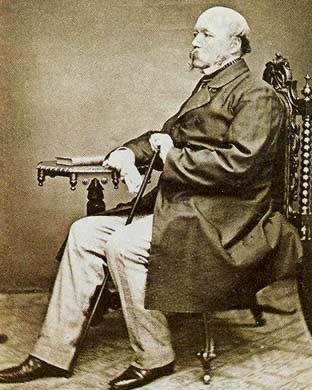 His son, Henry Cox Wilkinson was an Esquire of White Webbs, Middlesex who was born in 1811. He was a Justice of the Peace for Herts. In 1864, he married Louisa, daughter of Major Pa(???? ), of York, member of the 21st Regiment Royal Scotch Fusiliers. Henry Wilkinson, was Esquire of Allfarthing Manor, Wandsworth. He had a son named Reverend Frederick Wilkinson who went to New South Wales as an early colonial chaplain and a son named Captain Henry Richard Wilkinson. His son, Captain Henry, in 1822, married Deborah Jane, daughter of William Bushby of Kirk Michael, near Dumfries, Scotland, and by her, had two issue: William Hattam and Maria (of London). He died in 1836. His son, William Hattam Wilkinson, of Hereford House, Glebe Point, Sydney, New South Wales, Australia, was born in London in 1831. In 1852, he married Elizabeth Sibyl, daughter of W. Milligan of the 6th Inniskilling Dragoons and Elizabeth Sibyl Lane, and had eight issue with her as follows: William Camae (1857), Henry Lane (1859), Frederick Bushby (1861), Edward Western Cave (1865), Elizabeth Sibyl Jane, Grace Maria, Alice Isabel, and Lucy Rachel. He was educated at Bluecoat School and King’s College. He immigrated to New South Wales in 1852. He was appointed a crown prosecutor in 1870. Robert Wilkinson was born in Northill, Bedfordshire, England in 1548. He married Elizabeth Wheaton and had a son with her named John. His son John Wilkinson was born in Bedford, England in 1569. He married a woman named Prudence. He went to colonial America. He had a daughter named Elizabeth who was born in 11601. She married George Felt Sr., and had issue with him named Aaron, Elizabeth, George Jr., Mary, and Moses. Francis Wilkinson was born in Croft, Durham, England in 1615 AD. He married Margeret Wormeley and had a son with her named Edward. Edward was born in Milford, New Haven, Connecticut in 1654. He married Rebecca, daughter of Henry Smith, and had the following children with her: Elizabeth, Rebecca, Edward, Ruth, Hannah, Abigail, John, and Thankful. His son John was born in Milford, Connecticut in 1692. He married Hannah Langstaff. Lawrence Wilkinson was born in 1575 AD. He had a son named William. William was born in 1600. He married Mary Conyers and had a son with her named Lawrence. This Lawrence Wilkinson was born in Lancaster, Durham, England around 1620. He an officer under King Charles or an officer under Oliver Cromwell. He then went to colonial America where he married Susannah in Rhode Island in 1646, daughter of Christopher Smith, and had the following issue with her: Susannah, Samuel, John, Joanna, and Josias. His son John was born in 1654. In 1689, he married Deborah Whipple in Rhode Island. He had the following children: Mary, Daniel, Jeremiah, and John. 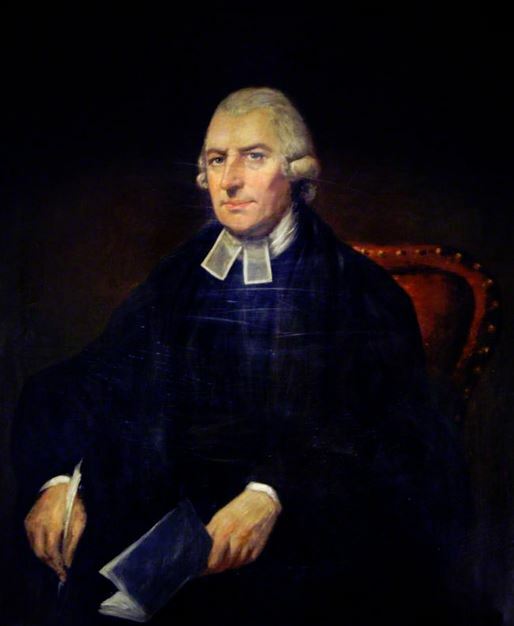 His son, John Wilkinson, was born around 1718. He married Rebecca Scott and had two sons with her: William and John. His son William Wilkinson was born in Smithfield in Rhode Island. He married Hulda Godwin and had the following children with her prior to his 1796 passing in Virginia: Amelia, John III, Thomas, Hazlewood, and Amelia. John III was born around 1744 in Isle of Wight, Virginia. In 1764, he married Ann Douglas and had the following issue with her: Micajah, Caroline (Heard), Sara Harwood, Reuben, John B., and Ann. 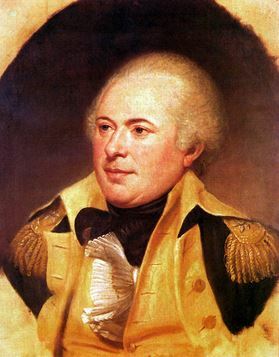 His son, Micajah Wilkinson, was born in Wilkes, Georgia in 1766. He married Mary Kennedy in 1791 and had the following children: Martha Patsy, Stephen, Asa, Rowland, Elizabeth, Eason, Roda, and Tyson. His son Rowland Wilkinson was born in Richmond, Georgia in 1797. He married Margaret Cain in 1819. He had three sons: John Cain, Jefferson Washington Sr., and Benjamin Franklin. His son, John Cain Wilkinson, was born in Amite County, Mississippi in 1825. He married three times: Philadelphia van Norman, Mary C. Short, and Margaret Jackson Toler. He had the following issue: William H., Jane Elizabeth, Lizzie, Zachariah, Jefferson, Frank F., Margaret Lorena, Mary, Thomas Jefferson, Charlotte, George Franklin, Mary, and Roland M. His son William H was born in Amite, Mississippi in 1846. He married Nancy Virginia Caston and had a son with her named William. His son William Caston Wilkinson was born in Mississippi in 1875. He married Anna Elizabeth Embry and had a son named George. This son, George Bonnie Wilkinson, was born in McComb Pike, MS in 1896. He passed away in 1962. Joseph Wilkinson, age 19, came to Virginia aboard the Bonaventure in January of 1634. Edward Wilkinson, age 17, came to the Barbados & St. Christopher’s aboard the Ann & Elizabeth in 1635. Henry Wilkinson, age 25, a tallow-chandler by trade, came to New England aboard the Elizabeth & Ann in May of 1635. Jane Wilkinson, age 20, came to Virginia aboard the Thomas & John in June of 1635. Thomas Wilkinson, age 23, came to Virginia aboard the Assurance in July of 1635. 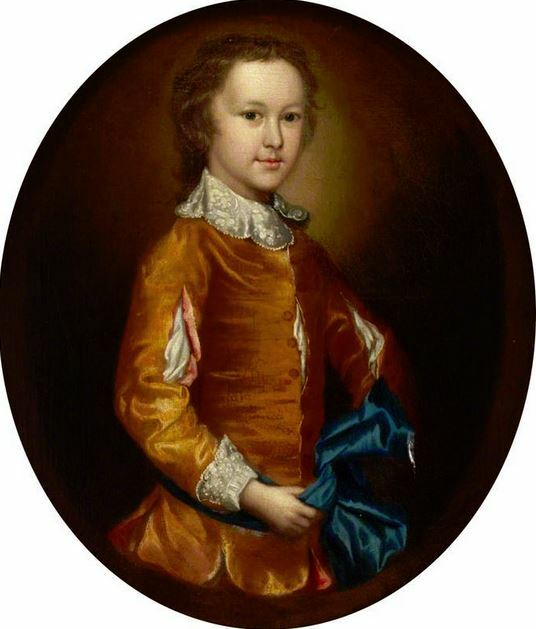 Joseph Wilkinson, age 14, came to Virginia aboard the Safety in August of 1635. Mathew Wilkinson, age 18, came to Virginia aboard the Expedition in November of 1635. Other settlers in colonial America bearing this surname include William Wilkinson (Virginia 1606), John Wilkinson (Massachusetts 1630), Grace Wilkinson (Virginia 1702), Alice Wilkinson (Carolina 1724), Mary Wilkinson (Boston, MA 1767), and Daniel Wilkinson (New York 1775). In Canada, one of the first settlers bearing this last name was Henry Wilkinson who came to Nova Scotia around 1750. In 1774, Thomas Wilkinson (with his wife and child) and Frans Wilkinson came to Nova Scotia in 1774. In Australia, John Wilkinson, a convict from Cumberland, England came to New South Wales aboard the Asia in 1820, In 1823, James and Thomas Wilkinson, convicts from York and Suffolk, England, respectively, came to Van Diemen’s Land (present day Tasmania). In 1829, Francis Wilkinson, a convict from Norfolk, England came to New South Wales aboard the America. In New Zealand, one of the earliest settlers included E. Wilkinson who came to the city of Auckland in 1837. In 1840, Johnson B. and Ann Wilkinson, ages 26 and 22, respectively, came to the city of Wellington aboard the Aurora. 1) Or 3 goats ramp sable within a bordure of the last. Crest: a goat’s head erased, armed and collared sable, langued gules. Confirmation of arms in R. I. Hist. Soc. Burke gives these arms to Thorold of Co. Lincoln, 1631. 1) Ogden Dungan Wilkinson of Philadelphia who was born in Trenton, New Jersey in 1863. He was the son of Frederick R. Wilkinson and Harriet S. Folwell. 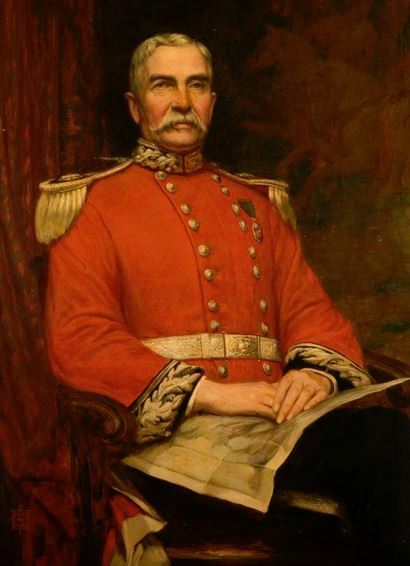 He was the grandson of Colonel Ogden D. Wilkinson. His lineage is traced back to William Wilkinson of Harperley House, Lanchester, England. He was a Captain and Quartermaster N.G.P. In 1883, he married Sarah Jane, daughter of Robert Taylor and Sarah J. Corscaden. He had two children with her: Sarah Dill and Elizabeth. Arms: Azure, a fesse eriminois between three unicorns passant argent. Crest: Out of a mural coronet gules a demi-unicorn erminois of the first armed and maned of the second. Motto: Nec rege nec populo, sed utroque. He resided on Walnut Street, Philadelphia, Pennsylvania. 1) Laurence Wilkinson of Provident Rhode Island, arms granted in 1615 in Durham, England. Arms: Azure, a fesse erminois between three unicorns passant argent. Crest: Out of a mural crown gules, a demi-unicorn sergeant erminois, erased, proper, armed and maned or. Motto: Nec rege, nec populo, sed utroque. 14) Edward Wilkinson of Charlton, Kent, Yeoman of the Mouth to our late sovereign Lord of the famous memory Henry VIII and Queen Anne his wife, and also to late Edward VI, his son, and at the present Maister Cooke of the Household to our most dread Sovereign Lady Queen Elizabeth, etc. for 30 years; granted at London 20 April 1559, by Hervey. 20) William Wilkinson of Bolton upon Dearne, Yorkshire, gentlemen, arms confirmed and crest given 13 September by 6 Queen Elizabeth 1564 by Flower. There are hundreds of notable people with the Wilkinson surname. This page will mention a handful. Famous people with this last name include: 1) Daniel Raymon Wilkinson (1973) was an American football player from Dayton, Ohio who played in the NFL for four different teams from 1994-2006, 2) Wallace Glenn Wilkinson (1941-2002) who was the 57th Governor of Kentucky from 1987-1991 and a businessman in the book industry, 3) Vice Admiral Peter John Wilkinson (1956) who was a Royal Navy officer who served from 1975-2010, educated at the University of Wales, 4) Catherine Joan “Kate” Wilkinson (1957) who was a member of the New Zealand House of Representatives and also the Minister of Labour from 2008-2012, from the city of Christchurch, 5) Sir John Gardner Wilkinson (1797-1875) who was a writer and traveler considered to be “The Father of British Egyptology”, born in Little Missenden, Buckinghamshire, England, 6) John “Iron Mad” Wilkinson (1728-1808) was an industrialist from Little Clifton, England who is known for having pioneering the manufacture of cast iron and for inventing a precision boring machine during the Industrial Revolution, 7) Charles Edmund Wilkinson (1801-1870) who was a Major-General of the British Army who was once acting Governor of British Ceylon (Sri Lanka), 8) Adrienne Maria Wilkinson (1977) who is an American actress from Memphis, Missouri known for her roles in TV series such as Charmed, ER, and Xena: Warrior Princess, 9) Raven Wilkinson (1935) is an American dancer from New York City, NY who is considered to be the first African-American woman to dance for a classical ballet company, and 10) Jemima Wilkinson (1758-1819) who was a charismatic American Quaker and evangelist preacher who was born in Cumberland, Rhode Island. Two of the more prominent or common heraldic symbols depicted within the Wilkinson coat of arms or family crest are the fess vaire and the unicorn, each with its own unique meaning. The fesse (also found as fess) is one of the major ordinaries to found in heraldry, being a bold, broad, horizontal band across the center of the shield. It may originally have arisen from the planks of which a wooden shield can be constructed, the centermost plank being painted a different color. It is instantly recognizable as a symbol, for example the arms of COLEVILLE granted during the reign of Henry III are simply or, a fesse gules. With this clear association with the construction of the shield itself, Wade believes that the fesse can be taken to be associated with the military, as a “girdle of honour”. Special patterns, of a distinctive shape are frequently used in heraldry and are know as furs, representing the cured skins of animals. Although they were originally derived from real creatures the actual patterns have become highly stylised into simple geometric shapes, bell-like in the case of vair. Vair is a particularly interesting example that resonates today – the “glass” slippers worn by Cinderella are actually a mis-translation of “vair” (i.e. fur) slippers, the very same vair that appears in heraldry! In the mediaeval period there was no real perceived difference between real and mythical animals, after all, much of the world remained unknown and who was to say what strange and magical creatures existed in distant lands? As heraldry developed a whole menagerie of imagined creatures came into being, and their various representations became more or less standardized in form and appearance. The unicorn is an interesting example that is still part of our own mythology today. The unicorn as illustrated on even the most ancient coat of arms is still instantly recognizable to us today, and shares many of the same poses that both lions and horses can be found in. Wade, the 18th century heraldic writer suggested that were adopted as symbols because of “its virtue, courage and strength”. The unicorn is a legendary creature with a spiral horn growing from its forehead, documented as far back as the time of the Indus Valley Civilization, where it was depicted on ancient seals. The unicorn was also mentioned by various writers in ancient Greece. The Bible also mentions the unicorn (called the re’em).